A model of the new catalyst. "We've designed a catalyst that provides a huge shortcut for how chemists can turn a simple, abundant molecule into a much more complex, value-added molecule," says Emory chemist Huw Davies. Chemists have taken another major step in the quest to use carbon-hydrogen bonds to create new molecules, a strategy that aims to revolutionize the field of organic synthesis. 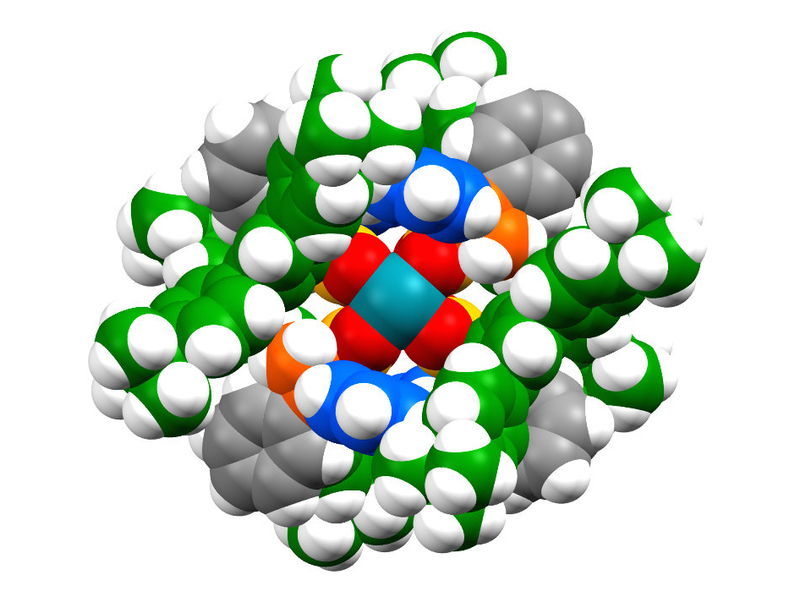 The journal Nature is publishing the work by chemists at Emory University. They demonstrated the ability to selectively functionalize the unreactive carbon-hydrogen (C-H) bonds of an alkane without using a directing group, while also maintaining virtually full control of site selectivity and the three-dimensional shape of the molecules produced. The streamlined process described in the paper holds tremendous potential for the synthesis of fine chemicals, such as those needed for the development of pharmaceuticals. Davies is also director of the National Science Foundation’s Center for Selective C-H Functionalization (CCHF), which is based at Emory and encompasses 15 major research universities from across the country, as well as industrial partners. The CCHF is leading a paradigm shift in organic synthesis, which has traditionally focused on modifying reactive, or functional, groups in a molecule. C-H functionalization breaks this rule for how to make compounds: It bypasses the reactive groups and does synthesis at what would normally be considered inert carbon-hydrogen bonds, abundant in organic compounds. The fact that multiple C-H bonds are commonly present in a single organic molecule, however, presents a significant challenge to this new type of chemistry. Chemists experimenting with C-H functionalization normally use a directing group – a chemical entity that combines to a catalyst and then directs the catalyst to a particular C-H bond. The Davies lab bypassed the need for a directing group by developing a series of dirhodium catalysts encased within a three-dimensional scaffold. The scaffold acts like a lock and key to allow only one particular C-H bond in a compound to approach the catalyst and undergo the reaction. In addition to controlling site selectivity, the scaffold of the dirhodium catalysts developed by the Davies lab controls the chirality of the product produced in the reaction. The handedness of a molecule is important in organic chemistry, since this 3D shape affects how it interacts with other handed molecules. 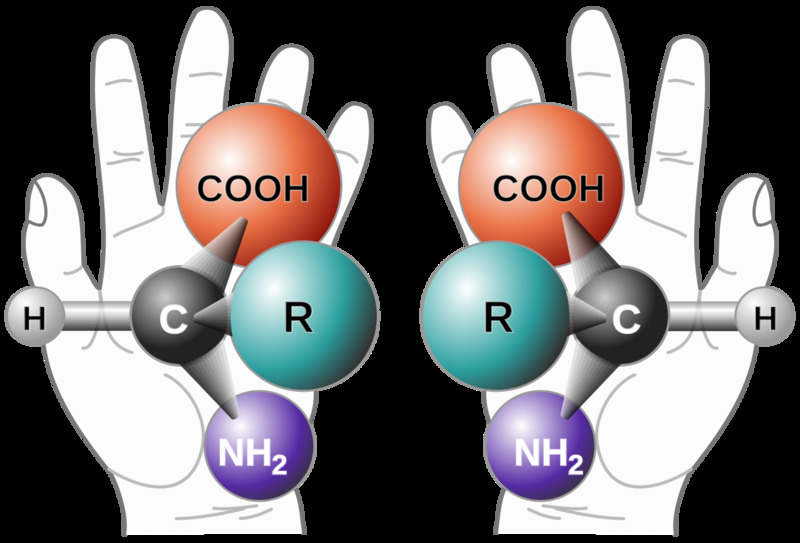 When developing a new drug, for instance, it is vital to control the chirality of the drug molecules because biological molecules recognize the difference. Thalidomide is the most notorious example of the handedness problem. During the late 1950s, thalidomide was sold as an over-the-counter drug for pregnant women suffering from morning sickness. In the case of thalidomide, however, while one mirror image cured morning sickness, the other turned out to cause birth defects. Today, pharmaceutical makers must either limit a drug’s molecules to a single chiral shape, or go through the extra time and expense of testing the safety of a mixture of left-handed and right-handed molecules. The new C-H functionalization catalyst may pave the way to a whole new realm of materials for drug discovery research. “The starting material we used, pentane, is as cheap as gasoline, but we are able to efficiently generate a sophisticated product in a single step and control which mirror image is formed,” Davies says. The process is also more sustainable than traditional organic synthesis, which typically involves the use of many reagents, and can produce toxic, inorganic byproducts. The Center for Selective C-H Functionalization (CCHF) speeds up this exploration process by breaking down the walls of individual labs and research institutes to form collaborations and teaching networks that reach across the country and across continents. An exchange program lets students spend time in labs from any of the 15 U.S. research universities that form the core of the CCHF, as well as major research universities in Japan, South Korea and the United Kingdom. Anyone can join the symposia live, as they are broadcast on YouTube, or access them later via the CCHF web site. The most recent symposium drew a live audience of more than 1,300 chemists from 45 countries. “C-H functionalization is an important new way of thinking about synthesis, and we have leading speakers in the field giving talks on it, so there is a lot of interest,” Davies says. Additional co-authors of the Nature paper include Solymar Negretti and John Bacsa (from Emory’s Department of Chemistry) and Djamaladdin Musaev (from Emory chemistry and the Cherry L. Emerson Center for Scientific Computation).